WARNING Do not place sharp objects in the trays to help prevent injury in an accident or sudden stop. 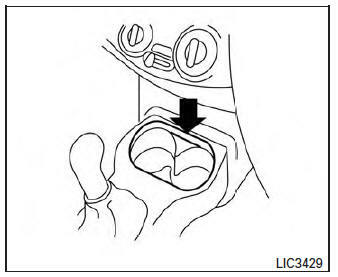 WARNING Keep glove box lid closed while driving to help prevent injury in an accident or a sudden stop. Never put anything on the cargo cover, no matter how small. 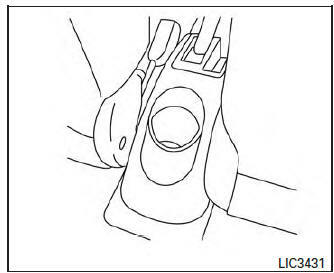 Any object on it could cause an injury in an accident or a sudden stop. Do not put objects heavier than 20 kg (44 lbs) on the cargo cover for long periods of time. Do not leave the cargo cover in the vehicle with it disengaged from the holder. 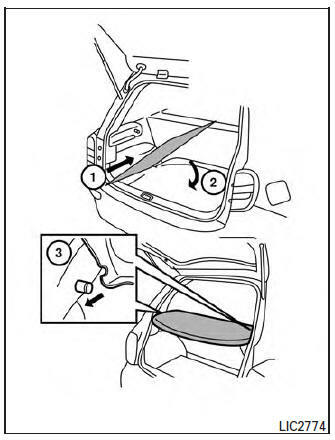 Your child could be seriously injured or killed in a collision if the child restraint top tether strap is damaged. If the cargo cover contacts the top tether strap when it is attached to the top tether anchor, remove the cargo cover from the vehicle or secure it on the cargo floor below its attachment location. 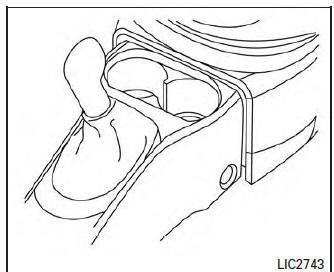 If the cargo cover is not removed, it may damage the top tether strap during a collision. Do not allow cargo to contact the top tether strap when it is attached to the top tether anchor. Properly secure the cargo so it does not contact the top tether strap. Cargo that is not properly secured or that contacts the top tether strap may damage the top tether strap during a collision. The cargo cover keeps the luggage compartment contents hidden from the outside. Remove the straps from the rear hatch. 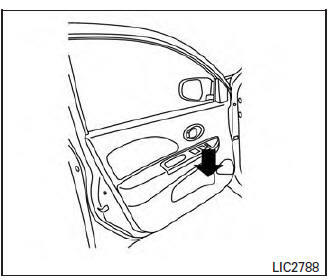 Remove the cargo cover holders from the rear pillar. Rotate and remove the cargo cover without touching surrounding parts. 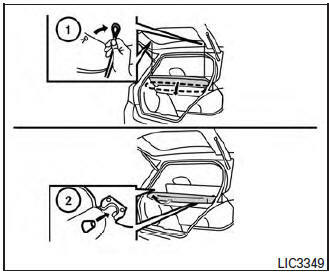 Insert cargo cover rotated without touching surrounding parts. Rotate the cargo cover parallel over the cargo area. Insert cargo cover on the rear pillars. Reattach the straps to the rear hatch.